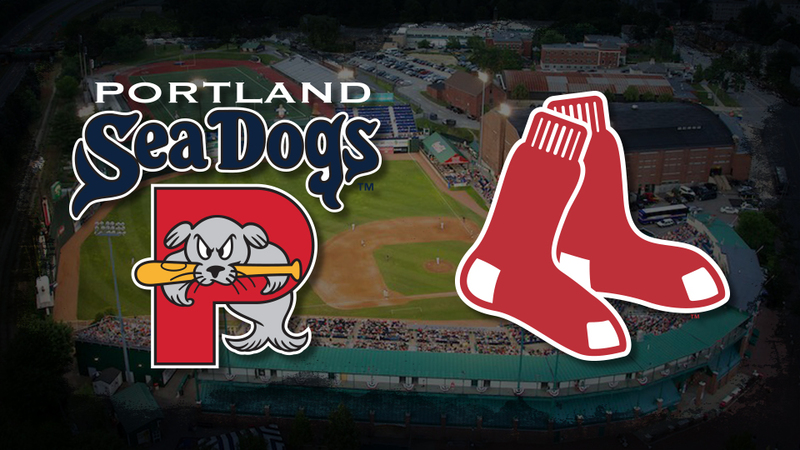 Portland, Maine- The Portland Sea Dogs and Boston Red Sox today announced the extension of their Player Development Contract (PDC) for an additional two years. With the extension, the Red Sox will continue to have a Double-A Eastern League affiliate in Portland through 2022, the longest permitted term under the current Professional Baseball Agreement (PBA). Red Sox Vice President of Player Development Ben Crockett and Sea Dogs President and General Manager Geoff Iacuessa made the announcement. "We are excited to extend our partnership with the Sea Dogs," stated Crockett. "The Burke Family, Geoff Iacuessa and the Sea Dogs staff provide a wonderful environment for players to grow and develop, while Portland's passionate fan base gives our players a taste of what they will see at Fenway." The Sea Dogs relationship with the Red Sox began in 2003, following a nine-year affiliation with the Florida Marlins. Upon changing affiliations, the Sea Dogs changed colors from teal to red and blue. Additionally, a likeness of Fenway Park's Green Monster was erected at Hadlock Field. The 2019 season will mark the Sea Dogs 17th as an affiliate of the Boston Red Sox. The Sea Dogs have advanced to postseason play five times since becoming an affiliate of the Red Sox, including their first Eastern League Championship in 2006. Since the affiliation, the Red Sox have won four World Series Championships. The 2018 Red Sox World Series roster featured ten former Sea Dogs including Matt Barnes, Andrew Benintendi, Mookie Betts, Xander Bogaerts, Jackie Bradley Jr., Rafael Devers, Brock Holt, Eduardo Rodriguez, Blake Swihart, and Christian Vázquez. Overall 93 Sea Dogs players have gone on to play for the Red Sox since 2003. Currently, there are 24 former Sea Dogs on the Red Sox 40-man roster. "We are excited and proud to extend our relationship with the Boston Red Sox, allowing our incredible fans to continue to see future Red Sox stars right here in Portland," stated Sea Dogs Chairman Bill Burke. "We thank the Red Sox for their commitment to the Sea Dogs organization and the city of Portland." Portland is one of Boston's six domestic minor league affiliates, joining Triple-A Pawtucket (International League), High-A Salem (Carolina League), Single-A Greenville (South Atlantic League), Short-A Lowell (New York-Penn League) and Rookie Gulf Coast Red Sox (Gulf Coast League). The Sea Dogs open the 2019 season on Thursday, April 4th at 6:00 PM at Hadlock Field against the Reading Fightin Phils. Tickets for all 2019 home games are now on sale and can be ordered by calling the Sea Dogs ticket office at 207-879-9500 or online at www.seadogs.com. Book your nine-inning vacation today.